In order to win the bet, Fogg is expected to return at the same time on December 21st, 1872; exactly 80 days from his departure. Although Fogg has his route perfectly planned, several mishaps challenge him along the way. While in Egypt, Fogg is suspected by Detective Fix to be a bank robber because Fogg's appearance matches the general description of the criminal. Later on, Fogg realizes that he must hike an extra 50 miles to the next train because the information about the train routes he had received in London proved to be inaccurate. With the help of an elephant, Fogg and Passepartout travel the 50 miles to the next train station, but Fogg knows they are behind schedule. Racing against time, Fogg manages to rescue a damsel in distress, is arrested by Detective Fix, and yet still manages to catch the train to his next destination. 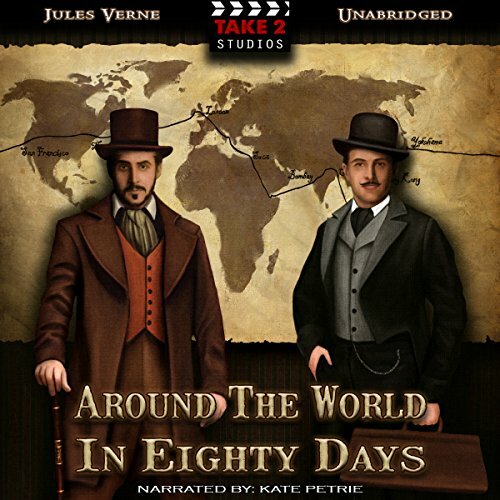 Complete with a love story and a race against time, Around the World in 80 Days is a fast-paced action packed adventure that will keep you on the edge of your seat.